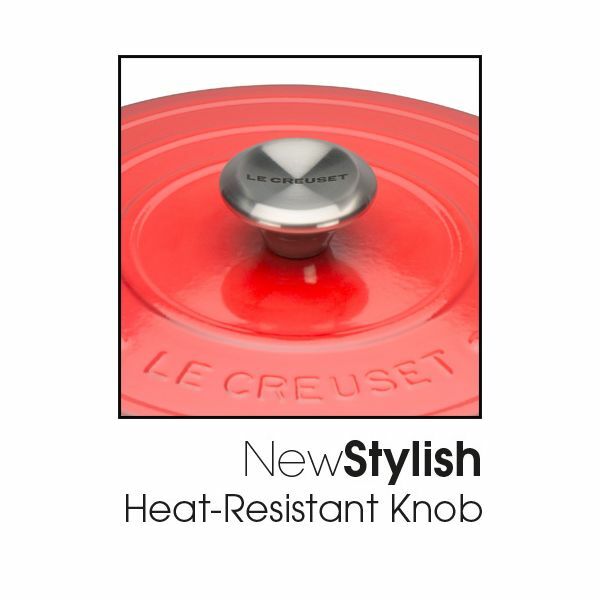 NEW from Le Creuset, Le Creuset Signature Cast Iron Casseroles available in round, oval and shallow buffet with improved easy-grip, 45% larger handles; new advanced sand interior enamel; stylish, heat resistant stainless steel knob and an enhanced tight fitting lid. 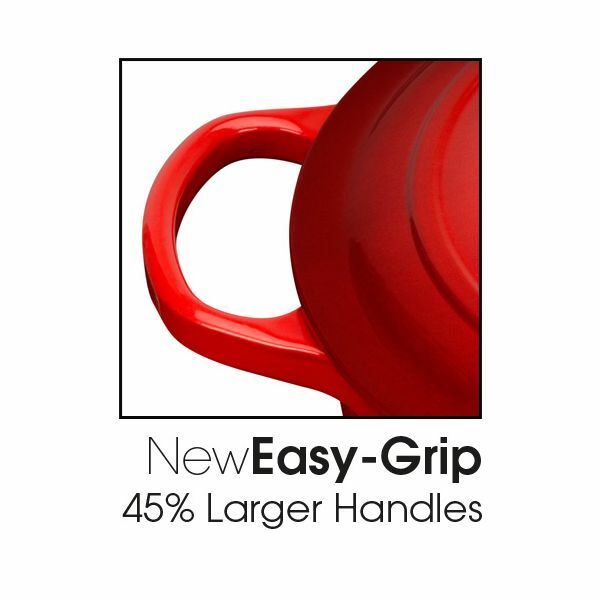 NEW 45% larger handles - easier to grip and lift, even with oven gloves or mitts, when full. NEW ergonomic stainless steel knob - stylish and durable brushed stainless steel finish. Easy comfortable natural grip, suitable for all temperatures. NEW engineered lid - tighter fit with built in stabilizers for enhanced moisture lock in and flavour when cooking. 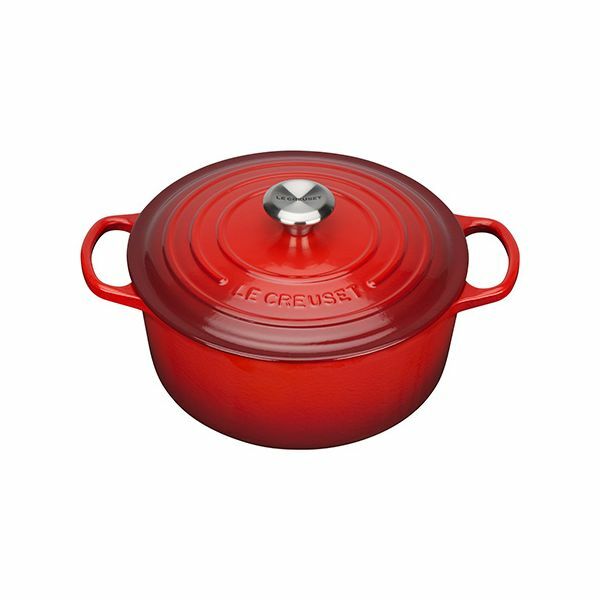 Handcrafted at the Le Creuset foundry in northern France since 1925, Le Creuset casseroles are made from premium quality cast iron ensuring each product is beautifully finished and long lasting. A true kitchen essential, the cast iron round casserole is not only perfect for making casseroles, stews and one pot roasts, but is versatile enough for baking cakes and bread. Le Creuset cast iron cookware also works efficiently at low to medium cooking temperatures and retains heat effectively, ensuring food stays warm for longer. Le Creuset cast iron casseroles are suitable for all hob types (including ceramic, halogen, induction, gas and oil or wood).